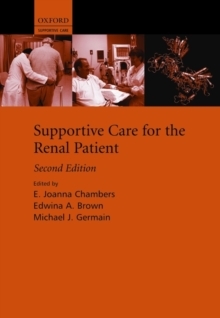 Supportive Care for the Renal Patient Second Edition provides a comprehensive, evidence-based overview of supportive care for the nephrology patient. An international group of contributors emphasise the continuum of palliative care from the time of diagnosis through to end-of-life care and the issues surrounding withdrawal of dialysis. 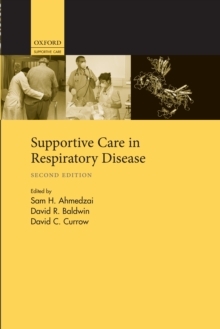 The book addresses the psychological impact of the disease, the importance of involving the patient in making decisionsabout their care, ethical considerations, the role of the family and the multidisciplinary team. This new edition includes two new chapters on conservative management of advanced kidney disease (AKD) and dialysis in the very elderly. 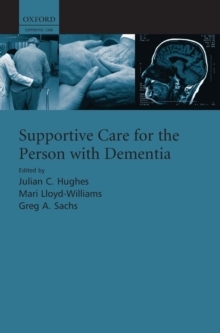 The chapters covering non pain symptoms, advance care planning, quality of life, psychological and psychiatric consideration and end-of-life care have also be completely revised to include new evidence and current thinking. 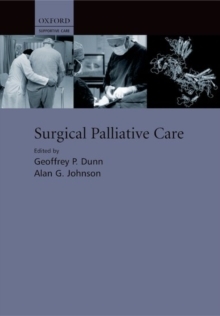 This book will be of particular interest to palliative care practitioners; nephrologists, who increasingly need to know more about palliative care; nurse practitioners, dialysis nurses, social workers, dieticians, and psychiatric consultants. ABOUT THE SUPPORTIVE CARE SERIES Supportive care is the multidisciplinary holistic care of patients with chronic and life-limiting illnesses and their families - from the time around diagnosis, through treatments aimed at cure or prolonging life, and into the phase currently acknowledged as palliative care. It involves recognising and caring for the side-effects of active therapies as well as patients' symptoms, co-morbidities, psychological, social and spiritual concerns. It also values the role of family carers and helpsthem in supporting the patient, as well as attending to their own special needs. Unlike traditional palliative care, which grew from the terminal care of cancer patients, supportive care is not restricted to dying patients nor to cancer. 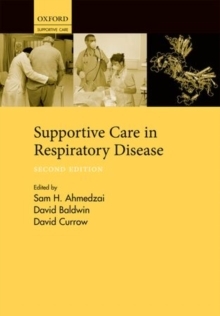 This series covers the support of patients with a variety of long-term conditions, who are currently largely managed by specialist medical teams in hospital and by primary care teams in community settings.